In Reviews, Romantic elements, Urban fantasy. 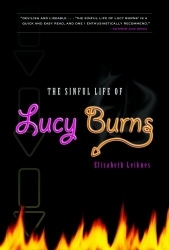 I’ll begin this review with a caveat: The Sinful Life of Lucy Burns isn’t the sort of book I’d normally buy without skimming first. But when the publisher emailed me to offer a review copy, I was happy to give it a go. This is the debut novel for author Elizabeth Leiknes, and I wanted to like it, but the story hit too many of my pet peeves and left me feeling like it could have been so much better. When Lucy Burns was a child, she made a deal ‘To Whom It May Concern’: save her sister’s life, and Lucy will be forever in their debt. She’s been dealing with the devil ever since. In exchange for fulfilling her material and cosmetic desires, Lucy becomes a Facilitator—someone who lures damned souls into the devil’s pit, which, as it turns out, is accessible from Lucy’s basement. It’s an interesting premise (and it immediately reminded me of Kathleen O’Reilly’s The Diva’s Guide to Selling Your Soul), but Lucy as a character starts to unravel for me early in the story. Leiknes sets Lucy up as a sympathetic character trapped into working for the devil out of the best of intentions. But the first scene in which we see her at work involves accidentally damning an innocent man to hell. It’s not a bad way to trigger Lucy’s desire to find a better career, but there’s a distinct lack of remorse around what happens. The lack of remorse is repeated later when another innocent though personality-challenged character goes into the basement. Lucy herself admits it: ‘What may have bugged me most was the fact that his unintended demise didn’t bug me enough.’ This sets up a potentially interesting internal conflict for Lucy, but she then segues into washing cars and her relationship with her neighbour Maggie. The death of the innocent man is forgotten, the moral dilemma is abandoned, and the plot moves forward. And I think this basically sums up the weakness in the story. It’s very much driven by the external plot—Lucy dealing with her victims, then trying to extricate herself from her job while negotiating a promising romance—and Lucy’s growth as a character is given the short shrift. Don’t get me wrong: the plot is great and it moves along well (except when it hits my pet peeves—more on that later), but it doesn’t tie in well enough with Lucy’s development as a character. And a story about how someone gets out of working for the devil should, I think, have a very strong handle on motivations and internal conflicts. Leiknes gives us glimpses, though not enough, or she just tells us, but the latter lacks the kind of subtlety that I love as a reader. I resumed my brainstorming. Serial killers? Too elusive. Hitler? Too dead. And then I remembered something I’d seen in the newspaper—an article about members of the Ku Klux Klan planning to protest the Gay Pride Parade taking place downtown. As a reader, there’s nothing interesting about this. It would’ve been more fun to have read about the article somewhere in the story beforehand, and then share in Lucy’s Aha! moment here. The structure of the narrative also works against me. Flashbacks to Lucy’s childhood show how she gets entangled with the devil, and the sacrifices she makes to keep her family safe from the potential consequences of her job. (When Lucy tries to back out of the deal, her sister is brutally mugged.) The transitions between the past and the present are awkward and inconsistent, and I’m not sure most of the flashbacks are even necessary. I nodded, realizing I’d been exposed to yet another pyramid scheme. I also enjoyed the dialogue between Lucy and Luke. Luke is sweet and romantic, and Lucy’s response to him was fun to read. The humour’s part of it, but also because it’s during these scenes that I get a better sense of Lucy’s vulnerability. But humour is subjective, and I’m not sure if the tone is consistent throughout the novel. Some aspects of the story didn’t make sense to me, and I’m not sure if it’s because I just didn’t get the joke. At times it reads almost like a modern fable—and as a fable some of my criticisms could’ve been excused—but at times it seems to take itself more seriously, leaving me confused as to how I’m supposed to interpret the story. And if it were a fable, Lucy’s moral compass seems to move all over the place, so I’m not sure what the moral is supposed to be. Even though this book isn’t technically in the romance genre, the love story has moments of sweetness and humour, but also absurdity. I’m convinced that the first encounter between Lucy and Luke—in which she’s pissed off her face and, literally, pisses her pants—was horrifying enough that most guys wouldn’t have bothered with a date to see if the woman’s worth it. And even with its sweet moments, I don’t quite know what it is about Lucy that Luke falls in love with. I wish we’d seen more of their blossoming love instead of having to wade through Luke’s story about corn maidens. Yes, corn maidens! I mentioned that the story hits many of my pet peeves. Out of those, what stands out most is having stories and song lyrics within a story. It’s a crazy thing to do. Basically, the author is asking me to be invested in not one but two stories. Most books jump the shark for me at this point. Luke’s story—as I mentioned, something about a corn maiden—and Teddy’s lyrics either bored me or made me cringe. In fairness, this is typically my reaction when I see stories, song lyrics or poetry within a story. Song lyrics, in particular, are just a bizarre thing to put in a novel. Losing the music pretty much removes their context, and authors are better off just talking about what the music makes the characters feel. This is a book that’ll only work for you if you share the same type of humour as the narrator. It doesn’t quite hit the spot for me. The story needed more layering—in the plot, the characters and the writing—because even for the bits of the book I enjoyed, my satisfaction was fleeting and all too easily forgotten. A review copy of this book was generously provided by Bancroft Press. This review is part of the Pub Challenge. 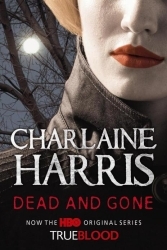 This review is part of the New Author Challenge. Tagged 2009 releases, bancroft press, chick-lit, elizabeth leiknes, pee list. I’m on the fence about giving this one a go. I’ve read several positive reviews but I’m not sure the plot is for me. SarahT, I’d say make a decision based on which reviewer most closely matches your taste in books. I think I will give this a try… as you said plot over character…. I am loving the round up.. Thanks, EH! Dear Author and The Book Smugglers have positive reviews, if you wanted to check out a different point of view.